The DC area is an absolute boating gem. With hundreds of easily accessible destinations along the Potomac River and Chesapeake Bay, there is something for everyone. The historic towns, scenic islands, dockside restaurants, and thousands of miles of shoreline all tell the stories from generations of boating. From sailing with the schooners out of Annapolis to cruising the Potomac to see the sights of Washington, DC, it would take you weeks (or longer) to soak it all in. Start your adventure by checking out more of our favorites below. The Georgetown waterfront is one of the best destinations in DC proper. Boats come here to dock up and be part of the scene. It’s always bursting with energy and teeming with people who come for the water views and many bars and restaurants that overlook the Potomac. For a premiere dock & dine experience, we recommend heading to The Orange Anchor where the restaurant’s deck-hands will help you secure your boat so you can enjoy the delicious seafood and 40 varieties of rum. They even offer boat-side delivery for you if you feel like eating on your boat. This is not to be missed. The nation’s capital. The 4th of July. Need we say more? The fireworks in DC are simply the best. 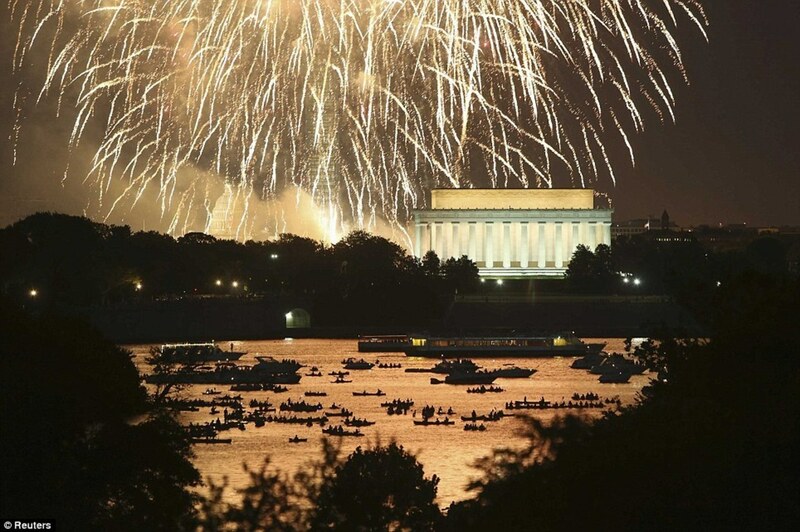 The backdrop of the monuments, the orchestra playing the 1812 Overture with the cannons firing as the river is illuminated by the rocket’s red glare is going to make your bottom lip quiver as you feel prouder to be American than ever before. Not to mention this way you skip the absolutely insane mobs shoving their way down to the mall hours early to get a spot. See DC and bypass the crowds, the traffic and the parking. If you want to see the iconic Monuments of the Capital from a new vantage point, cruise up the Potomac River for a look at DC most people have never experienced. As you pass under the famous bridges that span the river you can see the Pentagon, the Jefferson Memorial, Lincoln Memorial, Washington Monument and Kennedy Center. Even if you’ve lived in the area all your life, you’ll feel like you’re new to the city. 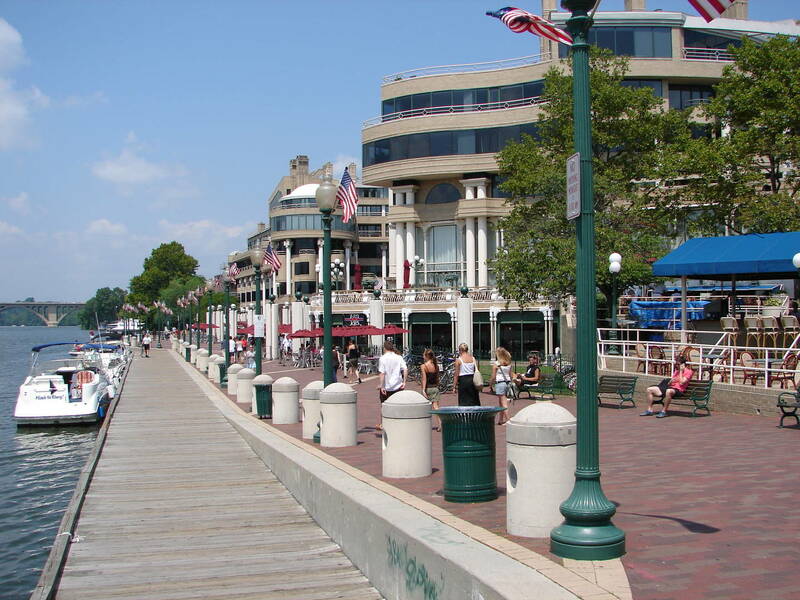 Across the river and a couple miles south of DC is the historic waterfront of Old Town Alexandria. Here you get all the activity of the marinas, bars, restaurants, and the Waterfront Market and the added bonus of a view of DC. Just further south on the Virginia side of the Potomac is Tim’s Rivershore Restaurant and Crabhouse. Grab some local seafood, and hang for a packed season of fireworks, music festivals, pig roasts, crawdad festivals, and even frequent raft-ups. It’s a great time, guaranteed. Both spots have plenty of dockage so you can get off the boat and explore! 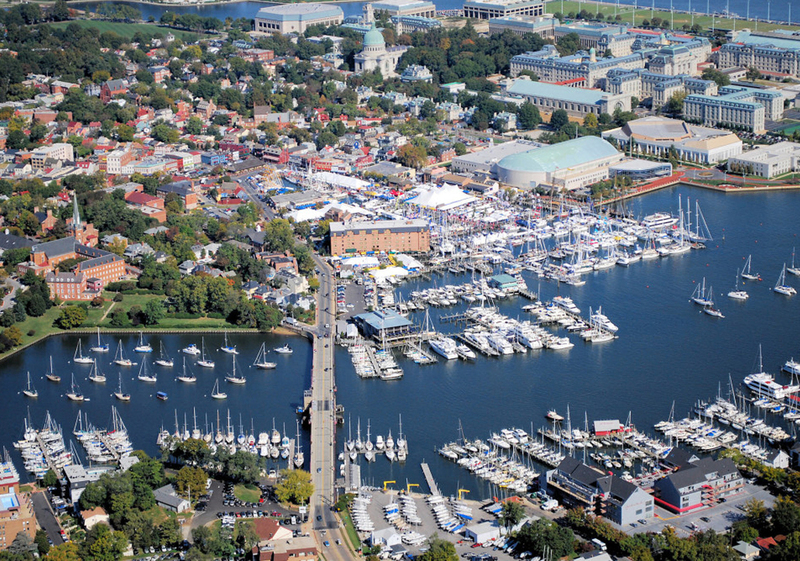 Know as America’s Sailing Capital, Annapolis is an absolute must for anyone looking to sail. But it's not just sailing, you also have access to great charter fishing, coastal cruising and the hundreds of destinations on the shores. The Chesapeake Bay is one of the greatest playgrounds for both the experienced sailor or the first timer. For things to do, don't miss the annual Great Chesapeake Bay Schooner Race. If you're hungry, sail over to Skippers Pier Restaurant Crab House and Dock Bar. Dock your boat and dive into some crab cakes and watch football... because that’s what Maryland does. This part of the coast of the Chesapeake is lined with beautiful towns, beaches and islands. Sail by Easton, MD, which was the setting of the movie Wedding Crashers (the estate is about 4.5 nm north east, directly south of Prices Cove, if you’re in the mood for gawking). 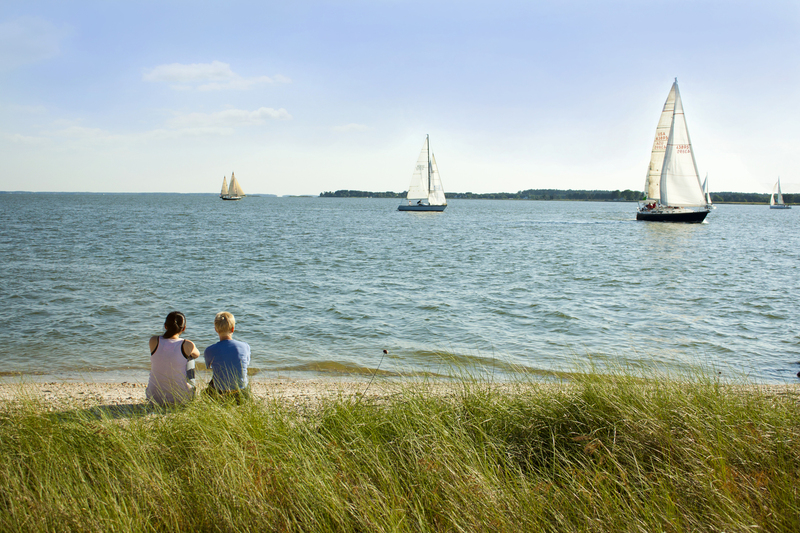 Or, spend the day exploring St. Michael’s, MD, one of our favorites and a pristine coastal town. The area is packed with historic coastlines, amazing food, picturesque harbors, gorgeous yachts, and some pretty impressive estates. Looking for crab? Head to Tilghman Island and watch real Marylanders make a living on the water pulling up a crab pots, and find some amazing oyster chowder to satisfy your craving for local fare. Smooth riding Grady White - great for everything!